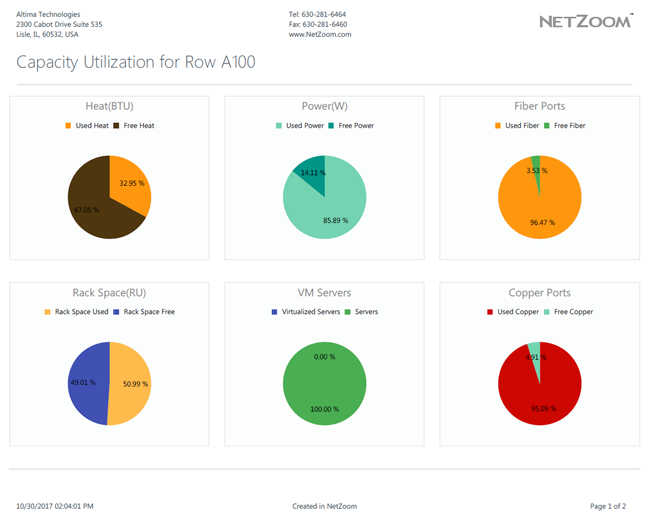 NetZoom™ manages data center capacity in terms of Space, Power, Cooling, Compute and Ports. 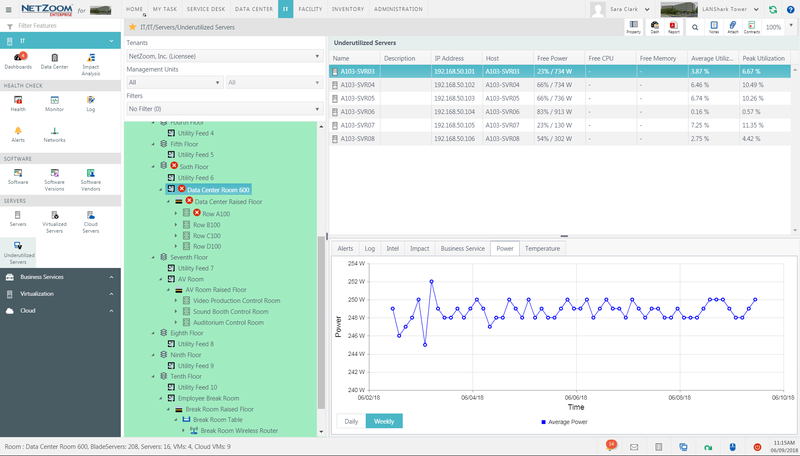 A DCIM with real-time monitoring can help improve Capacity Planning by Knowing and Analyzing the capacity, Predicting future capacity requirements, Evaluating the Impact of change on the data center and Optimizing capacity consumption. 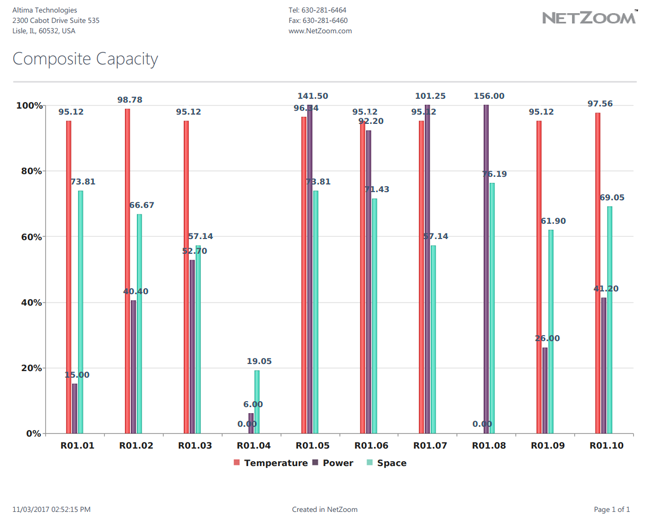 Use NetZoom Data Center Capacity Planning Software to know your capacity at all levels site, building, location, floor, room, rack. Capacity metrics are measured in real-time and automatically aggregated throughout the data center to improve Capacity Analysis, Planning and Optimization. 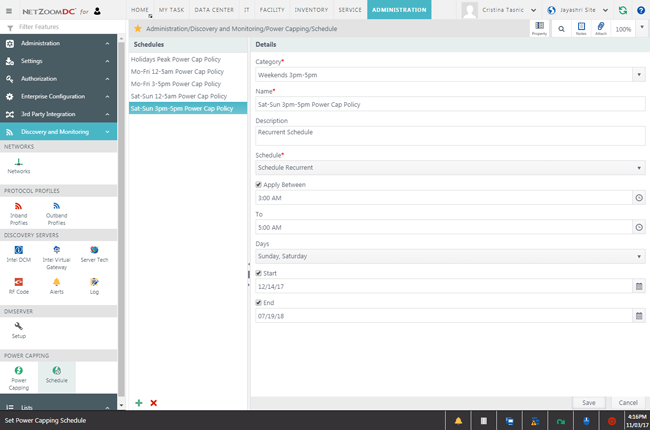 Know your Capacity quickly with simple, customizable dashboards and analytics at any place in the data center. View data center efficiency metrics: Space Utilization, Power Utilization, Cooling Utilization, Port Utilization, % of Virtualization. Evaluate the impact of planned and unplanned changes to the physical infrastructure with What If analysis to know if there is enough available capacity for the next major project. Forecast future capacity requirements based on planned change. Historical trending of real-time metrics help predict future need and answer the question “If and when the data center will Exhaust capacity?” to avoid unnecessary capital expenditure. Use power capping for increased availability in case of CRAC failure. Monitoring actual real-time power usage over time vs. provisioned power allows companies to reduce or redistribute provisioned power. Use the Composite Capacity report to help identify and balance Power, Space and Temperature to reclaim stranded capacity. NetZoom identifies Ghost servers that are not participating in any business services, are left behind by an abandoned project or are reported by IP scan but not found in the site data center. The Underutilized Servers feature and CPU metrics can help identify Underutilized Servers that can be virtualized.